PR pros love a peek inside the minds of the journalists they pitch and work with on stories. Muck Rack recently had the opportunity to chat with Alex Heath, senior reporter at Cheddar. To find out about more about him, including his day-to-day at Cheddar and a powerful piece he recently published that got a lot of national attention, check out 6 questions with Alex Heath from Cheddar. The big news last night was the release of the Michael Flynn sentencing memo, and by reading around the rows and rows of black boxes, we learned that the Mueller team believes Flynn Was a Key Cooperator and Deserves Little Prison Time, as Adam Goldman and Eileen Sullivan report for The New York Times. 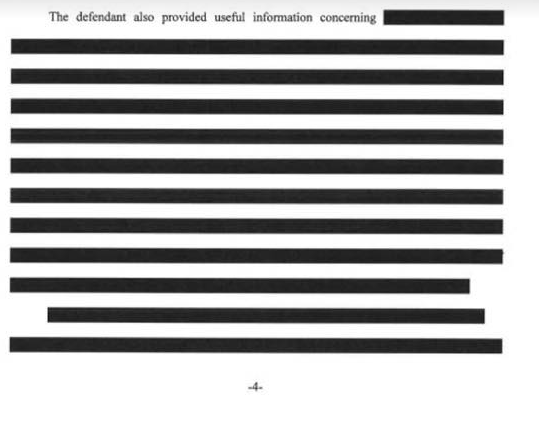 One tidbit that wasn’t redacted: “Wow. Michael Flynn sat for NINETEEN interviews with Mueller,” as Nicholas Thompson tweets. Meanwhile, Philip Gourevitch wonders, “Is this the answer to: Redacted + Redacted = x?” Tami Abdollah of The Associated Press reports that the attorneys general of the District of Columbia and Maryland plan to file subpoenas seeking records from the Trump Organization, the IRS and dozens of other entities as part of a lawsuit accusing Donald Trump of profiting off the presidency. And the scoop from Alex Isenstadt and John Bresnahan of POLITICO, thousands of sensitive emails were stolen from top NRCC officials in a major 2018 hack, and Republican leaders were not informed until POLITICO contacted committee officials about the incident. Oliver Darcy of CNN is reporting that the fate of The Weekly Standard is uncertain, tweeting, “Scoop: The fate of @weeklystandard is uncertain, Editor-in-Chief Stephen Hayes told staff in a series of phone calls today. The magazine's precarious position comes after its leadership spent months searching for a buyer after butting heads w/current owner.” Many echo the sentiment by Farai Chideya, who tweets, “I’m hoping they survive...Important part of ideological spectrum.” But “Should this happen, the Weekly Standard has a team of excellent reporters who you should hire,” notes Katherine Miller. Meanwhile, No More “We Can’t Find Any Black Female Writers”: Here Are 62 Scribes in One Photo, thanks to Rebecca Sun and The Hollywood Reporter’s largest photo shoot ever, capturing members of Black Women Who Brunch, a networking group co-founded by Lena Waithe. Matt Viser of The Washington Post reports that Beto O’Rourke met with Barack Obama as he ponders a 2020 presidential campaign. Meanwhile, sources tell Natasha Korecki, Kyle Cheney and Stephanie Murray of POLITICO that Deval Patrick is going to announce that he won’t run for president. Yesterday we asked: Finally, some good news: Spinal Tap will reunite and perform for the movie's 35th anniversary next year. When This is Spinal Tap was released on video in Norway in 1984, it was given a new title in Norwegian that translates to what? Answer: The much more colorful Help! We are in the pop business. Congrats to…Craig Pittman, first to find that answer and win the big prize. Your question of the day for today is…President Trump won’t be speaking at President Bush’s funeral. When was the last time a sitting president didn’t eulogize a predecessor? At the Minneapolis Star Tribune, Chris Carr has been promoted to assistant managing editor for sports, overseeing all newsroom sports coverage. Carr led the development of the Star Tribune’s digital sports strategy in 2016, helping the newsroom earn top honors in Associated Press Sports Editors competitions. Jim Jaworski is joining The Wall Street Journal as a senior platform editor, working Saturday through Tuesday evenings. He previously worked for the Chicago Tribune, most recently as Senior Content Editor. He began his journalism career reporting for The Doings Newspapers in Hinsdale, Ill.
Also joining The Wall Street Journal, Marc Vartabedian, who will be covering venture firms and the future of cities as part of the Pro Venture Capital team in San Francisco. He was previously a Reuters tech reporting intern. He has also reported for the Eureka Times-Standard and written for the Los Angeles Times, The Atlantic and The Washington Post.